The nanoemulsions carry antibodies and protein and can generate an immune response against infectious diseases such as influenza, HIV and malaria. The nanoemulsion could hold antibodies, releasing them only when targeted cells were found, Sainbury said. Nano-engineered oil droplets can be used to target infectious diseases and provoke specific immune responses to deal with side-effects of broad-spectrum treatments such as chemotherapy, according to a new research. 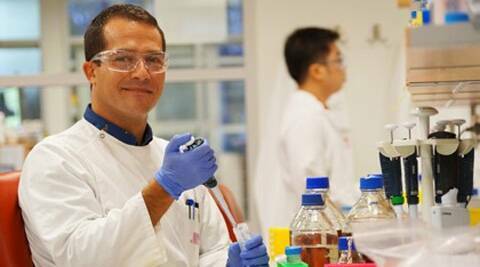 The researchers at the University of Queensland said the droplets called nanoemulsions can effectively target diseased cells and provoke specific immune responses.The nanoemulsions carry antibodies and protein and can generate an immune response against infectious diseases such as influenza, HIV and malaria. A paper on the development has been published in the international journal SMALL. Researcher Frank Sainbury said the journal paper provided proof of the precise targeting that could be achieved by nanoemulsions. The research is a collaboration between Anton Middelberg’s Australian Institute for Bioengineering and Nanotechnology research group, UQ’s Diamantina Institute,The Walter and Eliza Hall Institute of Medical Research and Burnet Institute’s Centre for Immunology.